Clayton Kershaw (9-6, 2.01) vs. Homer Bailey (5-9, 3.84). Is the concept of a stopper overrated? 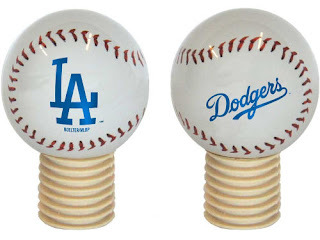 It hasn't been an issue up to this point in the season, but Kershaw beating the Reds tonight could mean the difference between the Dodgers refusing to relinquish first place and playing a frustrating game of first-place tag with the pesky D'bags. Bailey threw that (deservedly) celebrated no-hitter against the Giants earlier this month, but followed that performance with three consecutive losses. We know our starting pitching will be solid; the Dodgers need to unrevert (I know it's not a word, English majors) from their wasteful ways on the basepaths if they want to make it four straight Ls for Homer. 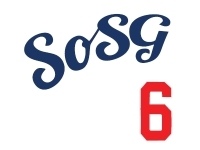 Update (Sax): I will be at tonight's game, as will SoSG AC. Hit us if you want to say hi or down a beer. Get some frozen beer, boys. Graphics for the dodger player introductions are much better now. Damn,, Clay. 23 pitches in first inning? Is Clayton's delivery a little different or is it just me? Not raising his arms above his head anymore. JUST made it in. Wow, what traffic! Lady next to me is playing candy crush instead of watching the game. Guy next to me wants to trade Kemp. QS. You sitting next to colletti? Ha! No, but this guy definitely has some strong opinions. The first time the PA announcer said "Jay Bruce" it sounded like Babe Ruth. Glad he is tweaking a first place team. Ok. Fed and watered. Time to get some runs. Now would be good. What kinda crap is THAT! The reserve section I'm in was pissed on that play at the plate. Sax, AC called you a lady. Hope Kershaw can go the distance. Well, that was a less than ideal 8th. Come on KJ, we almost got this.